Click the image above to download the Declaration in English. Please see below for copies of the declaration in other languages. The Risk in Play and Learning Declaration (also called the Ubud-Höör Declaration) was developed at ISGA Leadership Council meetings in Ubud, Bali, Indonesia and Höör, Sweden. We invite you to download a copy of the Declaration to share with your colleagues in Bahasa Indonesian, Chinese (simplified and traditional), Czech, Dutch, English, French, German, Japanese, Portuguese, Spanish, Swedish, and Vietnamese. We will also have the Declaration available in additional languages later this fall. The ISGA encourages individuals and organizations around the world to show their support for the benefits of risk in play and learning by endorsing the Declaration. Please click the link below for more information. Click here to download the Declaration in Chinese (Simplified) / 中文(简体). 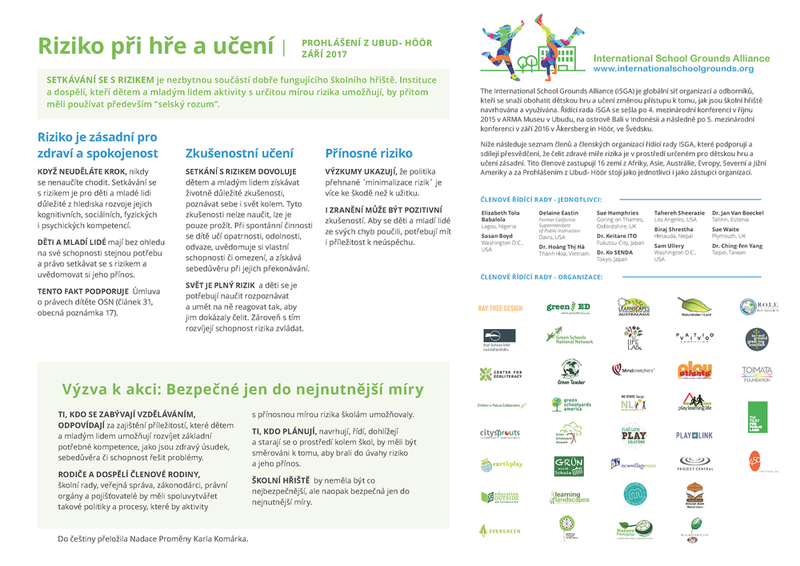 Click here to download the declaration in Czech / čeština. Click here to download the declaration in English. 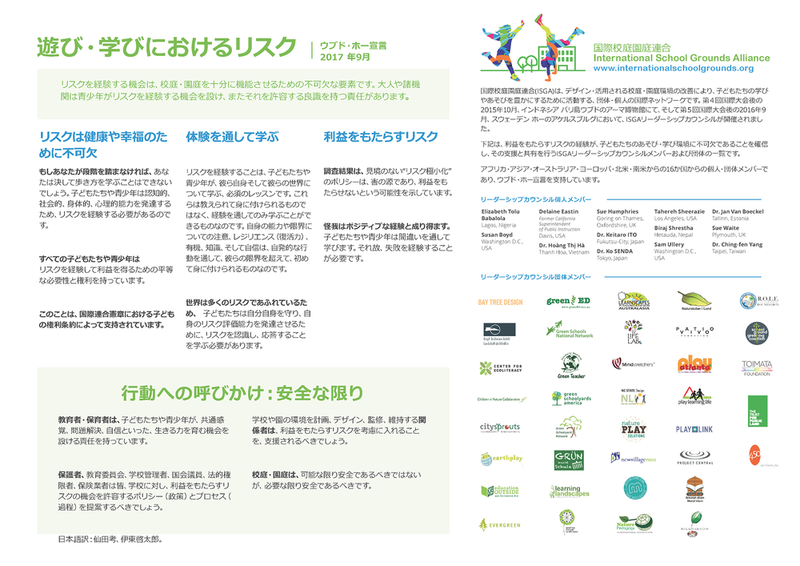 Click here to download the declaration in German / Deutsch..
Click here to download the declaration in Japanese / 日本語. Click here to download the declaration in Spanish / Español. Click here to download in Vietnamese / Tiếng Việt. Click here to download the declaration in Chinese (traditional) / 繁體中文. 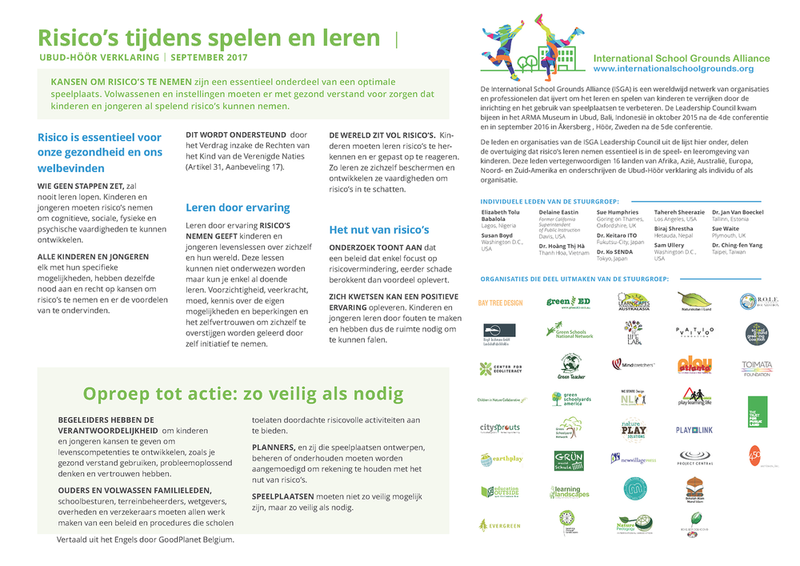 Click here to download the declaration in Dutch / nederlands. Click here to download the declaration in French / Français. Click here to download the declaration in Indonesian / Bahasa Indonesian. Click here to download the declaration in Portuguese / Português. Click here to download the Declaration in Swedish / Svenska.